Provide comfort for the family of Donald Gregory with a meaningful gesture of sympathy. 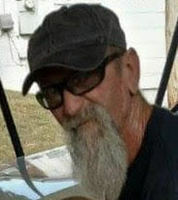 Donald “Doc” Gregory, 62, of Laurens, SC, passed away peacefully on January 25, 2019 after a hard-fought battle with cancer. He is survived by his daughter Christin and her husband Lt. Col. G. Rob Levy, Jr. of Chesterfield, VA; grandchildren, Wright, Grey, Alex, Radek and Miri all of Chesterfield, VA; a brother, Ron Gregory of Houston, TX; several nieces and nephews; a very special cousin, Edward Gregory of Chappells; a mother and son at heart, Judith Stewart and Scottie Wood of Fountain Inn; a brother and sister-in-law at heart, Jim and Tracey Ladd of Laurens; and the best friend a man could ask for, Donna Wood of the home. He was preceded in death by his parents, Leroy and Martha Simmons Gregory. In lieu of flowers, contributions may be made to Special Olympics Virginia 3212 Skipwith Road, Suite 100, Richmond, VA 23294. To send flowers in memory of Donald Westly Gregory, please visit our Heartfelt Sympathies Store.